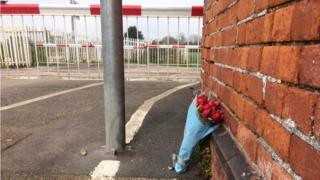 A man who died when his car was struck by a train at a level crossing was a railway company employee, the BBC has learned. He was killed at Stoke Canon, between Exeter St Davids and Tiverton Parkway, at about 06:00 GMT on Thursday, Great Western Railway (GWR) said. The 23-year-old man from Exeter had been in contact with British Transport Police (BTP) before his death. The case has been referred to the Independent Office for Police Conduct. British Transport Police (BTP) has said the death is not being treated as suspicious, but it was investigating reports of trains striking objects and a lineside fire which appeared to be linked. Officers said they were not looking for anyone else in connection with these incidents and the death. GWR said it was working with police to identify the full circumstances. Services running between Exeter and Tiverton were cancelled or delayed on Thursday, with disruption lasting until the early evening.